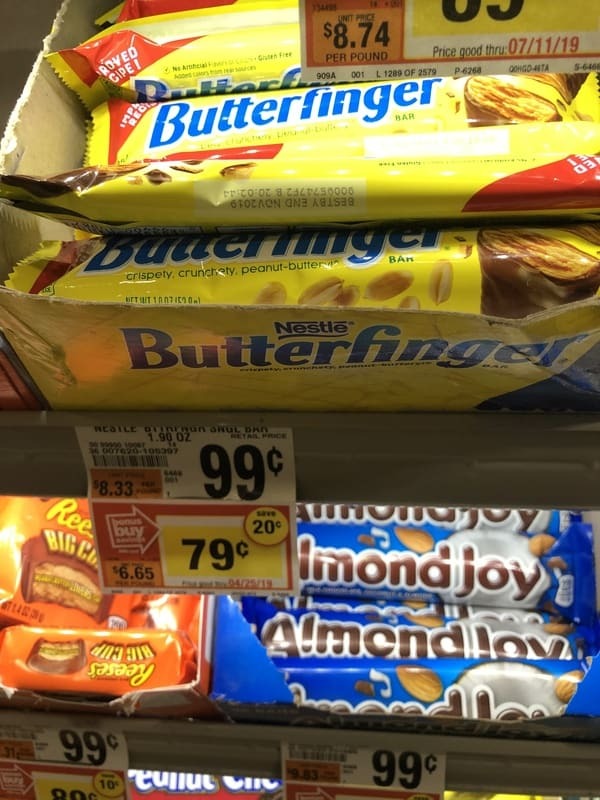 Giant: Nestle Butterfinger Candy Bar Singles JUST $0.29 Each Thru 4/25! We have a great deal to make savings at Giant. Starting from 4/25, grab Nestle Butterfinger Candy Bars for just $0.29 each after using $0.50/2 Butterfinger Singles or Share packs printable coupon!